You are here: Home ∼ Wellness ∼ Sodium: Shake it Off! February is National Heart Health month, which is a reminder to pay closer attention to the amount of sodium you consume. Many people think that by reducing their sodium intake from the saltshaker, they’ll be fine. In reality, most of the sodium we eat—approximately 75 percent or more—is consumed through processed foods. This means most of the sodium is already added when you buy your food. The biggest offenders are lunchmeats, canned soups, some frozen foods, canned vegetables, breads, fast food and restaurant foods. Paying attention to the amount of sodium on food labels and eating fresher products can reduce the amount of sodium consumed. The American Heart Association (AHA) recommends not exceeding 1,500 mg of sodium daily. Originally, AHA’s recommendation was 2,300 mg of sodium per day, but it was later decreased because of a large amount of Americans having heart problems or high blood pressure. To put the new recommendation in perspective, one teaspoon of table salt is equal to 2,300 mg. There are many complications that can arise by consuming too much sodium. 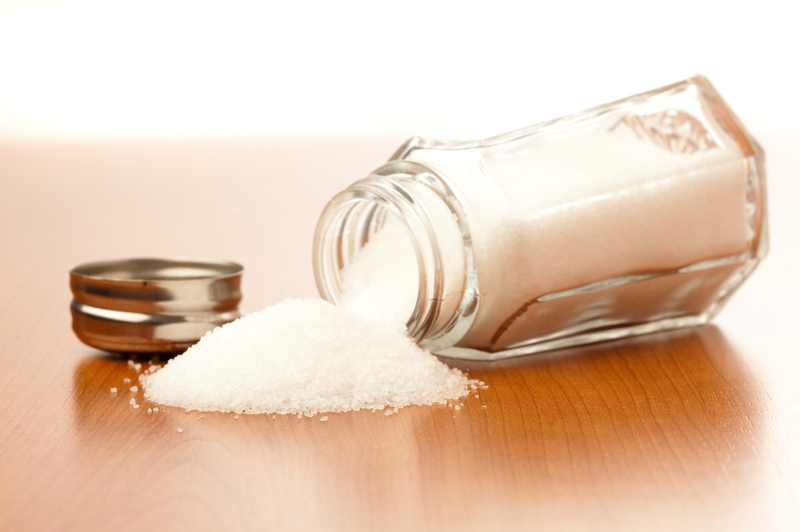 Sodium can cause water retention, which can be bad for the heart. Sodium can also increase blood pressure to dangerous levels. In addition, sodium can cause swelling in the fingers, bags under the eyes, puffiness of the face and bloating. So do your heart and your body a favor by paying closer attention to the ingredients in the foods you eat. Put down the saltshaker and use other spices that do not contain sodium to flavor your foods. Limit the amount of processed meats such as lunchmeats and bacon. Limit canned soups and read nutrition labels. Rinse off canned vegetables or buy fresh or frozen vegetables. When going out to eat, stay away from fried foods, too much bread, or even ask for your food to be prepared without added salt. Do your best to be aware of where sodium can hide and shake off the salty excess! Learn more about the one-on-one nutritional counseling program at Riverview Health.